What a bag! Durable polyester in beautiful color - these bags feature a full-zipper to enclose your goodies, carry handles and lots of space! Each measures 18" wide, 16" tall, and 4-1/2" deep. Oh, you want to personalize the bag?? 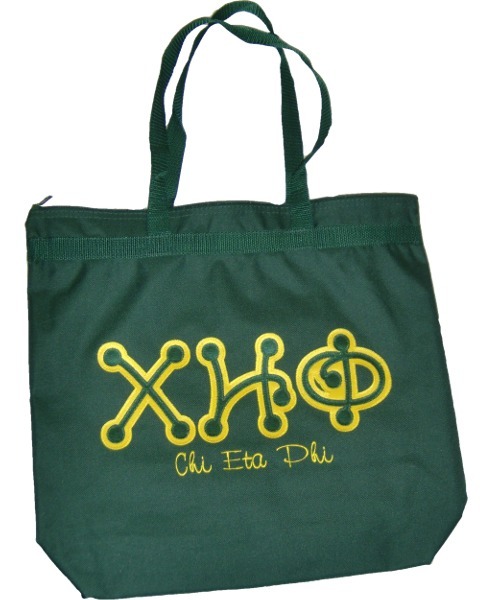 Ok, replace the "Chi Eta Phi" script with 20 characters of your choosing.